We’d like to officially welcome Philipp Shickor of Germany to the Seismic team!! In 2014 he took 2nd in the Juniors division at Kozakov, and he just scored 6th in the Open class at Eat Concrete in Belgium. Congrats and keep killing it Philipp! Also thanks to Jürgen Lüsgen for the awesome pic. This entry was posted in News, Team Riders on May 7, 2015 by seismicskate. Congrats to Javier Tato for winning the Soplao race in Spain, and to Rafa Ga Suave and Aleix Gallimo for making finals and semis! The heats were stacked and tight, Way to kill it guys! Federico Prieto with the beautiful shot. This entry was posted in Downhill, Team Riders on May 5, 2015 by seismicskate. 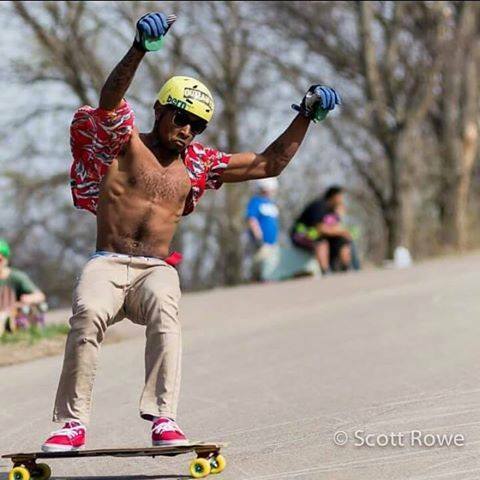 Seismic team rider Dre Nubine grabbed 1st place in the DH race and 2nd place in the slide jam at the Breezy Bomb, this past weekend in Manhattan, Kansas. For DH he used 76mm Hot Spots in 77A Bubblegum Defcon, and for the slide jam he used our new 72mm Tantrums in 79A yellow Elixir. This entry was posted in Downhill, Events, Team Riders on April 13, 2015 by seismicskate. Warming up for the Eurotour. Municipality from the province Alicante situated at a distance of 97 km NE of it´s capital, in the​ mountain range of Alfaro. Elevated at 630 m of altitude. Castell de Castells is a little town, with less of 600 inhabitants and open to turism. It offers Rural houses, Camping and Parkings. The roads are perfectly paved, and surround the mountain areas. The distance from the coast is less than 50km, even though it raises nearly 700 meters above the sea level. agressive forks well cambered, going into a final stretch where you will be able to reach speeds of in between 70 & 80 km/h. This entry was posted in Downhill, Events, Freeride, News, Skate Videos, Team Riders, Wheels on July 24, 2013 by seismicskate. Cry Baby – New Freeride Wheels from Seismic are here! Seismic riders Troy Fairbanks, Dre “Grizzly” Nubine, and Brandon Desjarlais make the pavement cry on the Cry Baby wheels, the newest members of the Seismic freeride wheel family. Available in 60x38mm (28mm contact patch) and 64x42mm (32mm contact patch), with centerset bearing placement. Both sizes available in red 84A and blue 88A. The little Baby and the big Baby are both poured in Seismic Elixir™, the first urethane formulated exclusively for modern freeriding. Like other wheels in the Seismic freeride lineup, the Cry Babies offer smooth, predictable slides with great hookup, grip when you need it, and awesome ‘thane lines. Baby bottle and diaper change included, but only on the graphic. This entry was posted in Freeride, New Products, News, Press Release, Skate Videos, Team Riders, Wheels on June 19, 2013 by seismicskate. Troy Fairbanks new incorporation to the Seismic Team! Check out 2013 team rider, Troy Fairbanks, tearing up the streets of Lakewood, CO on Seismic 75mm Landslides (blue 83A) and Seismic 70mm Bootlegs (blue 84A). This entry was posted in Downhill, Freeride, News, Products, Skate Videos, Team Riders, Wheels and tagged colorado, fairbanks, long, longboard, longboarding, RAD, RADO, riders, rodamientos, ruedas, rulemanes, seismic, seismicskate, skate, team, troy, USA, wheels on January 10, 2013 by seismicskate. 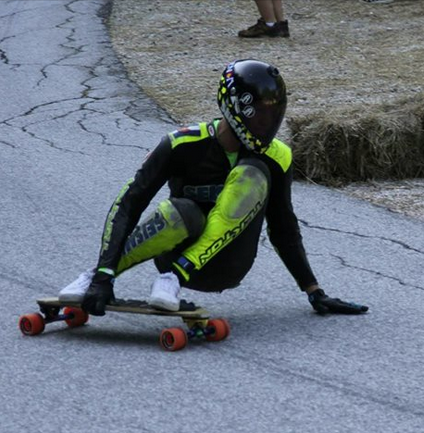 Check out Seismic Team Rider, Javier Tato, shredding some 70mm Red Bootlegs and Tekton bearings throughout Madrid! This entry was posted in Freeride, News, Products, Skate Videos, Team Riders, Wheels and tagged bootlegs, elixir, freeride, ruedas, seismic, wheels on December 12, 2012 by seismicskate. Check out new team rider, Brandon DesJarlais, trying out 73mm Elixir Speed Vents and Ceramic Tektons for the first time on the damp streets of Salem, Oregon. 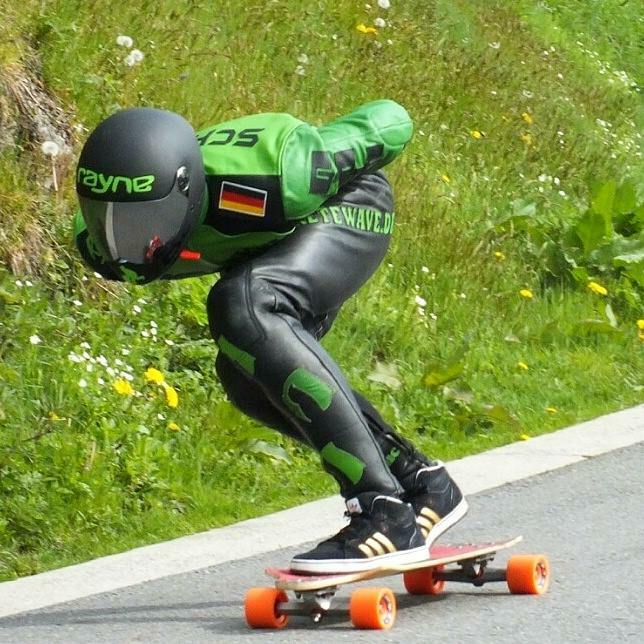 This entry was posted in Downhill, Freeride, New Products, News, Products, Skate Videos, Team Riders, Wheels and tagged bearings, brandon, ceramic, desjarlais, deslizar, elixir, fast, freeride, llantas, long, longboard, longboarding, new, nuevas, oregon, race, rider, rodamientos, ruedas, rulemanes, seismic, seismic skate, shapes, skate, slide, team, tekton, thane, thane lines, urethane, USA, wheels on December 11, 2012 by seismicskate. Seismic Race Wheels poured in Elixir™ freeride ‘thane! Check out Seismic team riders breaking in Elixir 69mm Hot Spots, 76mm Hot Spots and 73mm Speed Vents. Our new Elixir wheels are made in a race shape performance mold and combined with our Elixir freeride formula (same urethane formula used in our slide wheels 70mm Bootlegs and 75mm Landslides). Seismic Team Riders: Shaquille James – 73mm Speed Vents, Dre Nubine – 76mm Hot Spots, Devon Reece – 69mm Hot Spots, Brian Lugbill – 69mm Hot Spots, Troy Fairbanks – 69mm Hot Spots. 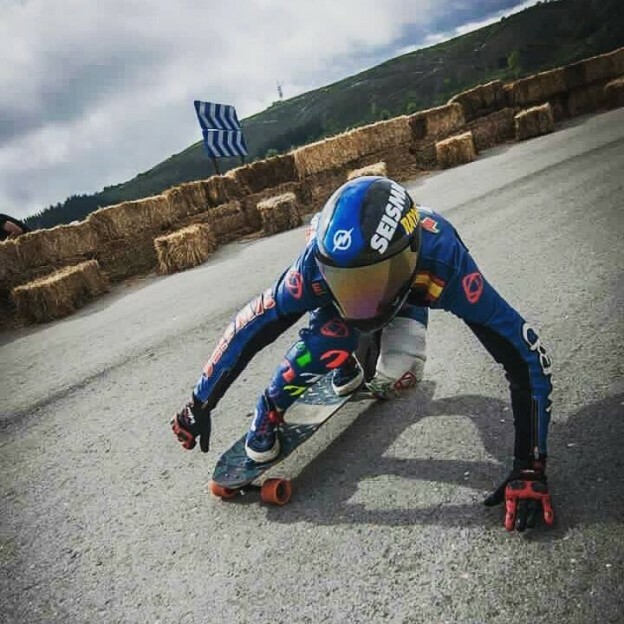 This entry was posted in Downhill, Freeride, New Products, Products, Skate Videos, Team Riders, Wheels and tagged best, Brian, colorado, DH, downhill, Dre, dub, elixir, freeride, James, kind, llantas, Lugbill, new, Nubine, riders, rodamientos, ruedas, rulemanes, seismic, shaq, team, team riders, thane, troy fairbanks, USA, wheels on November 29, 2012 by seismicskate. Seismic Skate: BBDH 2012 VIDEO! We went to BBDH two weeks ago. We had a lot of fun and we are glad to see how much is growing year after year. We love to see big events like this in Colorado. We took some pictures and made a video. Check it out!! Check out more images of BBDH 2012 on our Seismic Skate Facebook page! If you participated and you can’t find a picture of yourself, write us a message because we might have a picture of you! Check out this gnarlylicious video of Buffalo Bill Downhill 2012! BBDH Bloodspill 2012 from nachomama on Vimeo. This entry was posted in Events, News, Team Riders and tagged baleros, BBDH, bearings, Bloodspill, bootleg, bootlegs, Buffalo Bill Downhill, colorado, DH, downhill, fast freeride, fast wheels, freeride, golden, longboard, longboarding, lookout, Mischo Erban, rodamientos, ruedas, rulemanes, seismic, seismic skate, seismicskate, shred, speed, tablas, technical freeride, tekton, tekton baleros, tekton bearings, thane, thane lines, urethane, video, wheels on October 15, 2012 by seismicskate. This entry was posted in Downhill, Freeride, New Products, News, Product Reviews, Products, Skate Videos, Team Riders, Wheels on September 16, 2012 by seismicskate. This entry was posted in Bearings, Decks, Downhill, Freeride, News, Products, Skate Videos, Team Riders, Wheels and tagged backslide, baleros, boulder, Brian, colorado, fast, fast freeride, llantas, long, longboard, longboarding, Lugbill, RADO, rodamientos, ruedas, rulemanes, seismic, seismic skate, standies, team, thane, thane lines, toeslide, USA, wheels on August 15, 2012 by seismicskate. Seismic rider Dre Nubine shows deadly style on 70mm Bootlegs, 73mm Speed Vents, and Tekton bearings. Dre puts his own spin on things with a low, rubbery, effortless approach. P.S. We call him “Sweet Knees” because they’re so scabby! This entry was posted in Bearings, Decks, Freeride, News, Products, Skate Videos, Team Riders, Wheels and tagged back slide, baleros, bootlegs, deck, Dre, fast, freeride, llantas, longboard, Nubine, rodamientos, ruedas, ruedas longboard, rulemanes, seismic, seismic skate, seismic wheels, skate, slide, tabla, tekton, thane, toeslide, wheels on June 14, 2012 by seismicskate.